On sale! 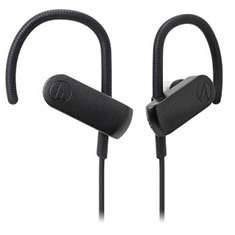 (normally $179) The ATH-SPORT70BT wireless in-ear headphones feature 9 mm performance-enhanced, carbon-coated drivers to deliver amazingly clear and powerful audio to fuel your workouts. 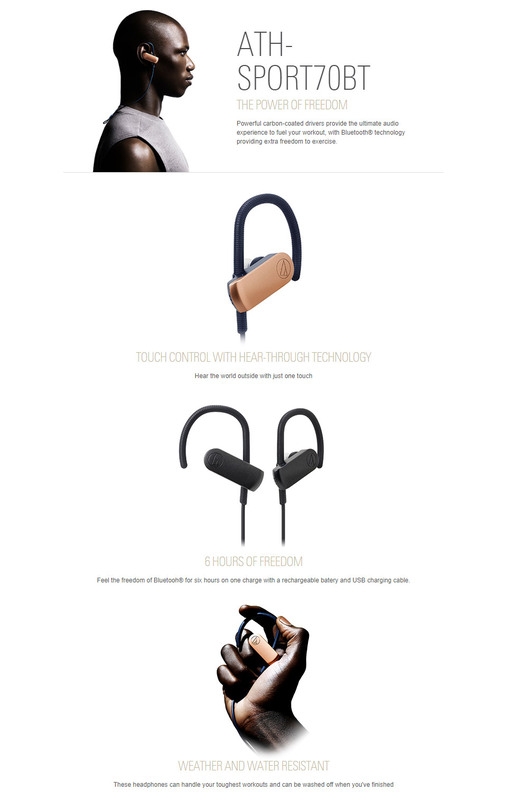 The comfortable ear-hook design keeps the headphones securely in place, allowing you to stay active while remaining connected to your phone or other Bluetooth wireless device. The in-line mic and controls let you easily answer calls and control your music, and the switchable ambient noise hear-through function (activated simply by tapping the left housing) gives you the choice of hearing the sounds around you for safer use outdoors. 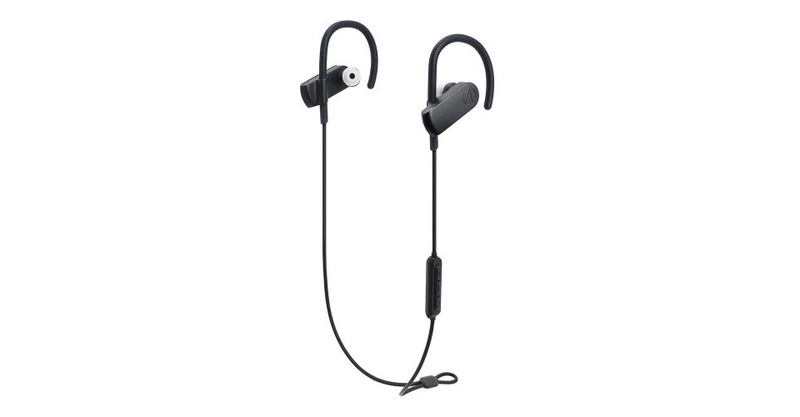 The headphones are IPX5 Waterproof Certified, so you can wash them off when your workout is through. A pair of Comply foam eartips with SweatGuard technology are also included along with the usual assortment (XS, S, M, L) of silicone eartips. The internal lithium polymer rechargeable battery delivers six hours of continuous use and recharges easily with the included 30cm USB charging cable.